2. Place asparagus spears to one side of a baking tray and drizzle with olive oil. Place rye bread on the same baking tray. Place the asparagus and rye under grill until cooked 5-10 minutes, taking care not to overcook. 3. Bring the small saucepan of water to the boil, reduce to a simmer then crack egg straight into the water or into an egg poacher if using. Cook for 3-4 minutes. 4. 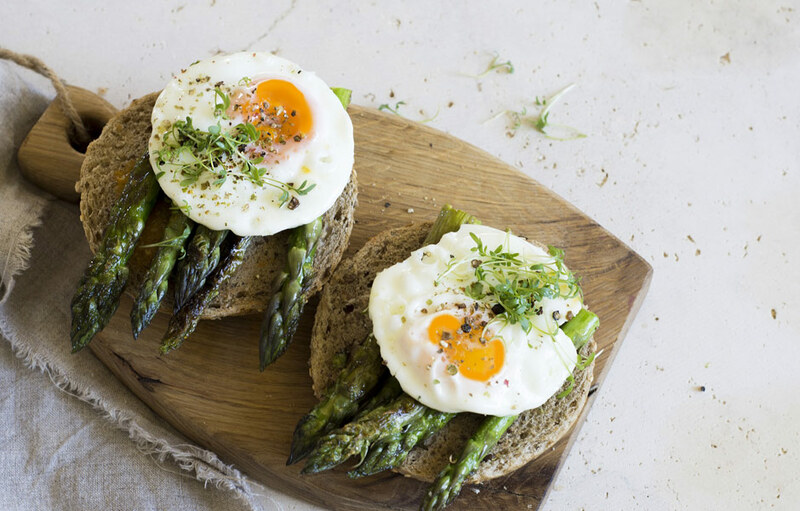 Whilst egg is cooking remove rye and asparagus and serve onto a plate, top rye with small handful spinach then top with the cooked egg.